Today marks the anniversary of the Apollo 11 mission that landed Neil Armstrong on the moon. Hours later on July 21, 1969, Armstrong stepped out of the Tranquility Base lunar module. As millions around the world watched on live television, Armstrong spoke, “That’s one small step for [a] man, one giant leap for mankind,” as he stepped on the surface to become the first human to walk on the moon. 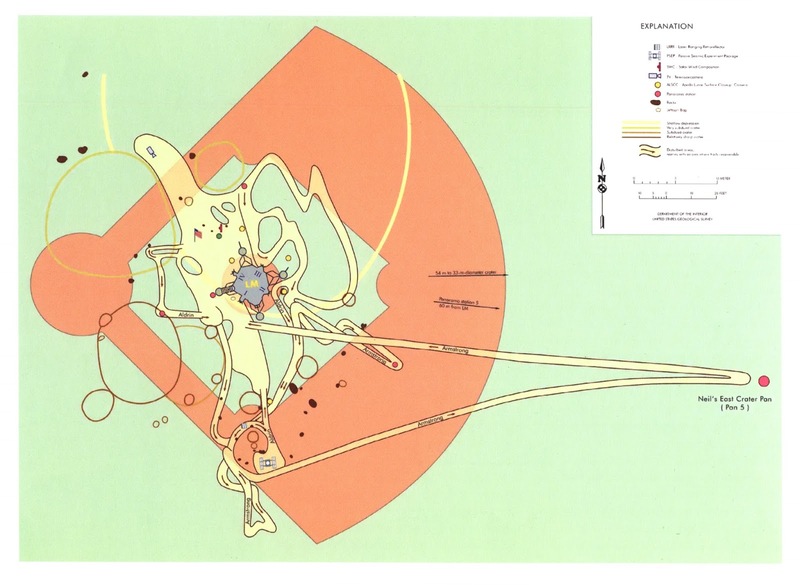 The map shown above (click to enlarge) was created by the United States Department of Interior and shows the location of the lunar module and the paths walked by Armstrong and astronaut Buzz Aldrin. 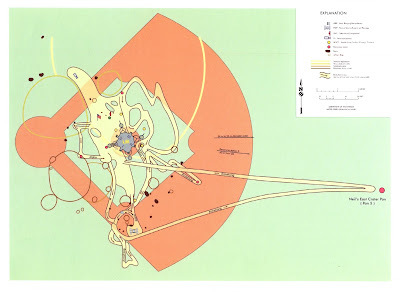 The map shows the American flag planted by the astronauts on the lunar surface, the television camera, and the locations of soil and seismic testing performed by the astronauts. After traveling hundreds of thousands of miles, the landing crew of the Apollo 11 lunar mission spent two and a half hours on the lunar surface and in that time barely covered an area the size of a baseball diamond. Or, if your sports preferences lie elsewhere, half a soccer field, with Armstrong making just one dash at the other side’s goal. And exactly how big is the moon? 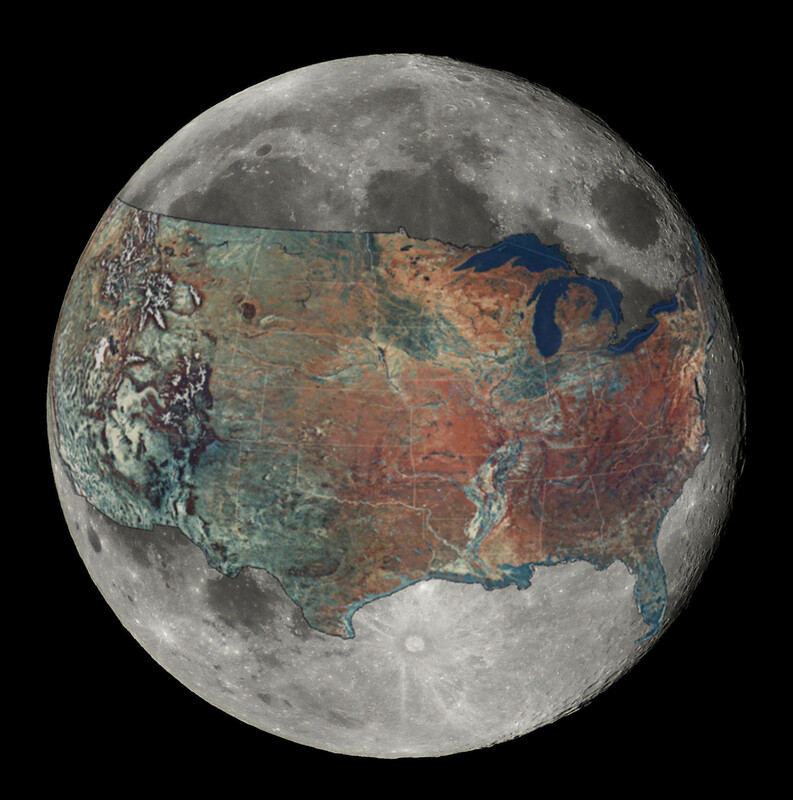 The Web page io9 explained the relative size compared to the United States (above). 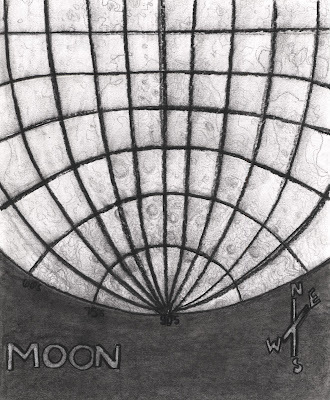 The third map was drawn by Burris High School student Chloe Newman and donated to the GRMC. 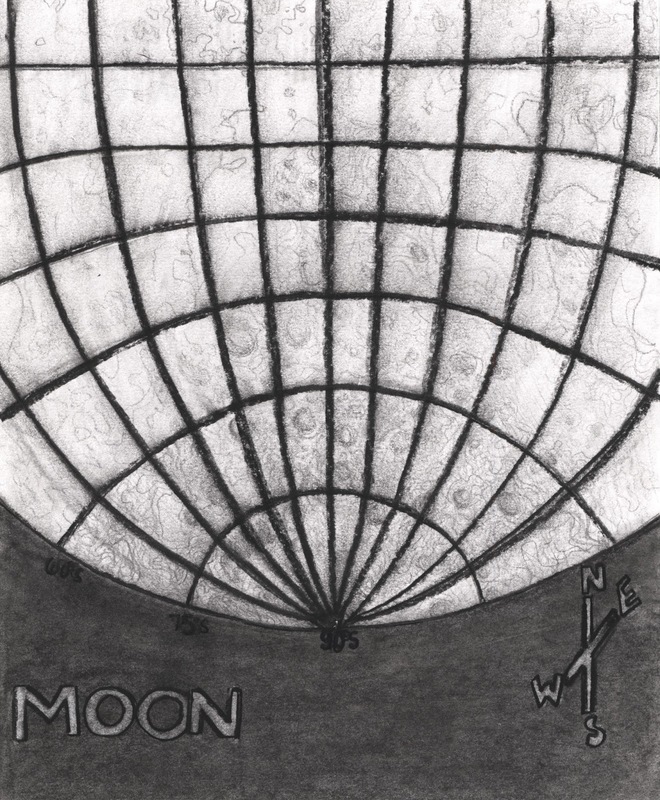 Strange Maps, maps of the lunar surface and the solar system, and many other atlases and cartographic resources related to outer space are available from the GRMC on the second floor of Bracken Library. The GRMC is open during the summer from 7:30 am to 4:30 pm.